When buying a rear view camera system, some people might get overwhelmed with all the different options available. You might not even know where to start. This Guide might help you narrow the field and steer you in the right direction. 1. How Many Cameras Do You Want In The System? That depends on the type of vehicle this will go on, if you are looking for a rear view camera for a car or truck then most people go with the single camera rear view systems such as 1 and 2 Backup Camera System. If you are planning on installing the camera on an RV, Trailer or any extra large or long vehicle then you can go with the 3 To 5 Backup Camera System. 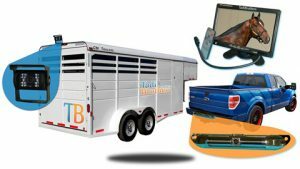 If you are looking for the best trailer camera, most people usually get a 2 camera system Wireless Trailer Backup Camera with 1 camera for the license plate and another camera for the back of the trailer. 2.Do You Want To Go Wired, Wireless or Digital Wireless? Whichever you decide, keep in mind that we have a tech team available to provide you support anytime. 3.What Type and Size of Screen Do You Want? 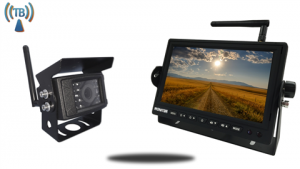 Depending on your use, our monitors come in 2 main categories, the first is a dash mount screen that ranges from 3.5-12-inch (Most people buy the 7-inch) and is mean to mounted on your dash, it is very popular in vehicles that have a lot of dash space. The second screen type is the clip on mirror, this is available in sizes from 7-10.5-inch (most people buy the 7-inch), it’s been designed to clip on to any existing mirror and when not in use, it look like a regular mirror but when the backup camera is active the mirror turns into a beautiful LCD screen. Whichever screen type you go with they are all available in split screen or 2 channel version, it just depends on how many backup cameras you will need. To learn more about our monitors click here to see our Monitor Guide. 4.What Type of Camera Should You Get? This depends on the use, if you plan on mounting the camera on the license plate we suggest picking that type of camera, if you need a bird’s eye view camera we suggest the RV Box camera. To read more about all the camera we have please click here to see our To To learn more about our monitors click here to see our Backup Camera Guide. 5.How Much Should You Spend? If you are looking for a single camera system, the range to consider is $200-$300. if you are looking for a multi camera system those usually start at around $550 but well equipped systems with nice bells and whistles will run you around $750. 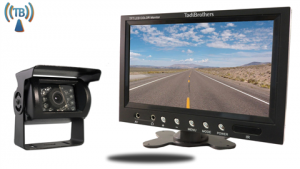 Read more about� How much does a backup camera cost? This 5 Easy Steps To Buy a Rear View Camera System guide is meant to help you get a better grasp what’s important to when choosing the best backup camera system, when customers have talk with me in the past I always remind them that “You don’t buy this every day, buy the best you can today, and it will save you a lot of headache down the line”. Buying a backup camera is much like buying anything else, in that you get what you pay for. If you want to talk with one of our reps or even ask our tech team a question, feel free to call us anytime at 866-966-5550.